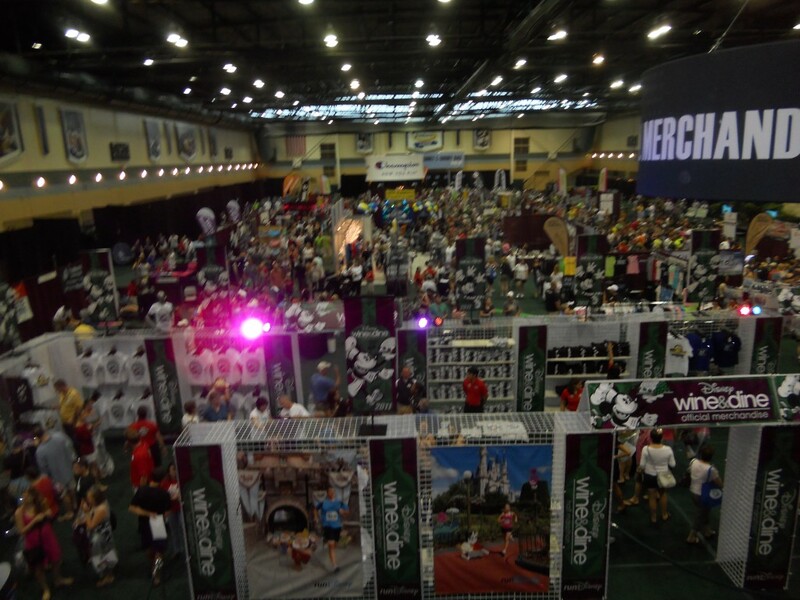 After a team breakfast Saturday morning, we headed to the race expo on Saturday afternoon. 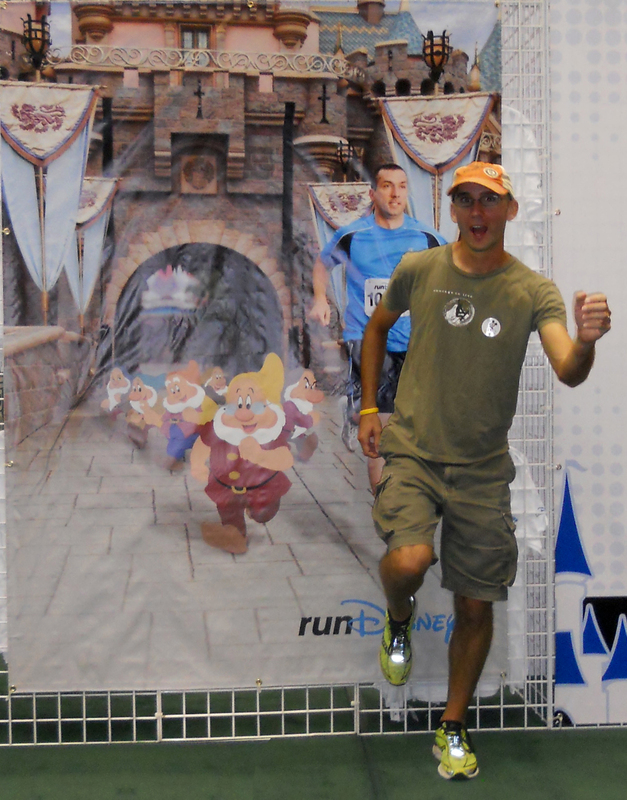 Coach Brian successfully held off six of the seven dwarves down the finishing stretch. 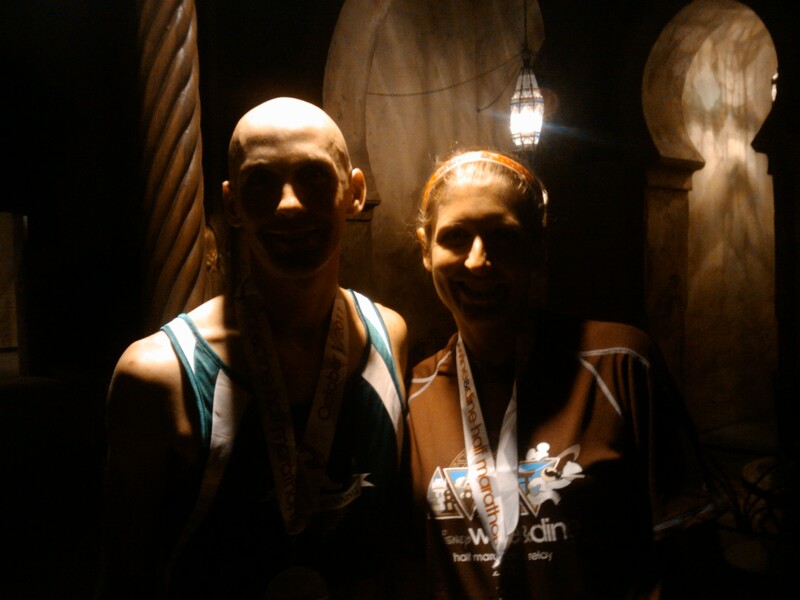 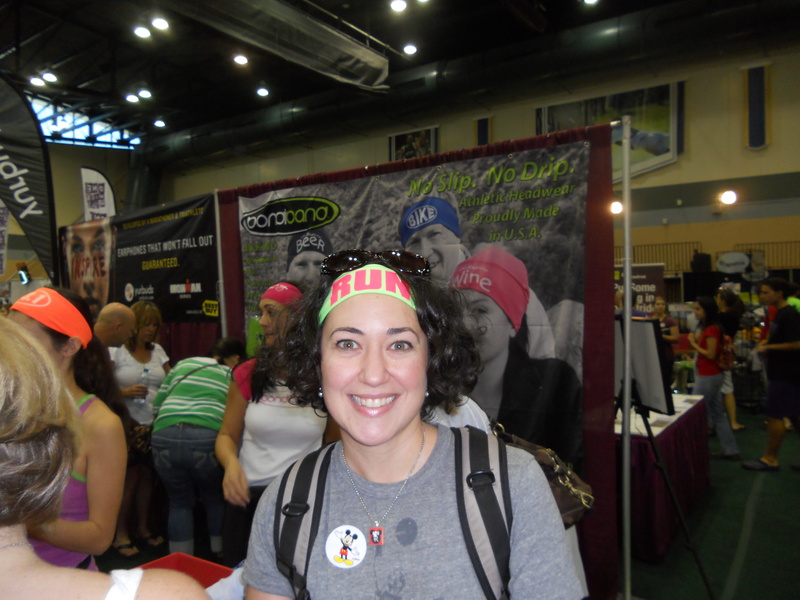 Coach Brian hangs with Heather of Running with Sass at the Running Skirts booth. 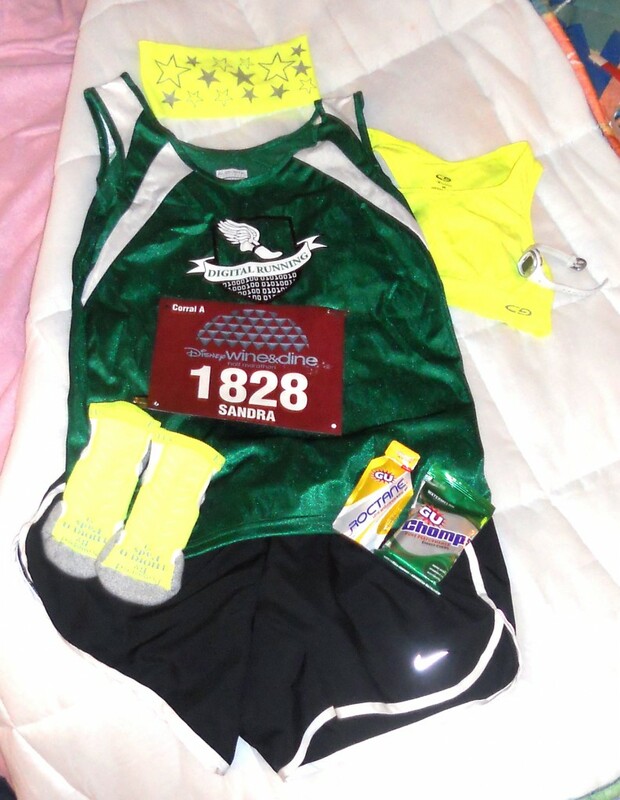 Coach Brian's uniform laid out on the bed before the race. Then everyone went and ran a race or somethng. 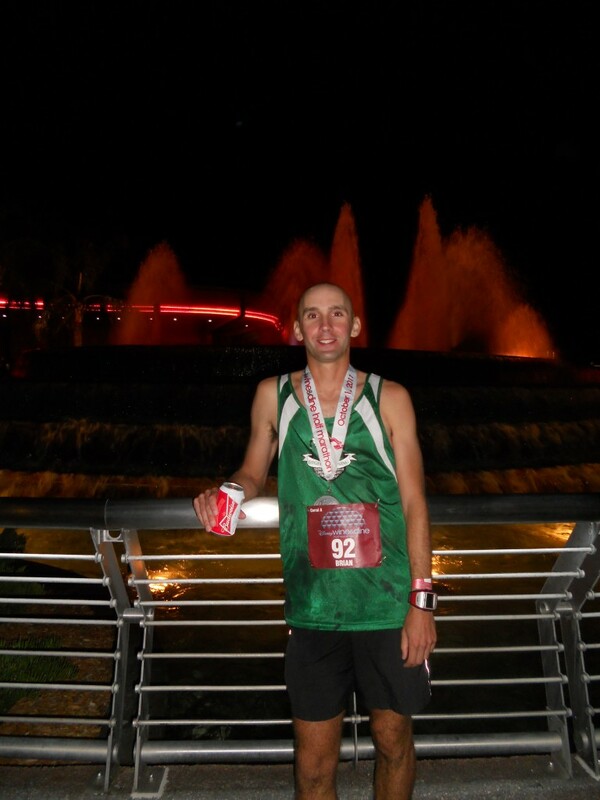 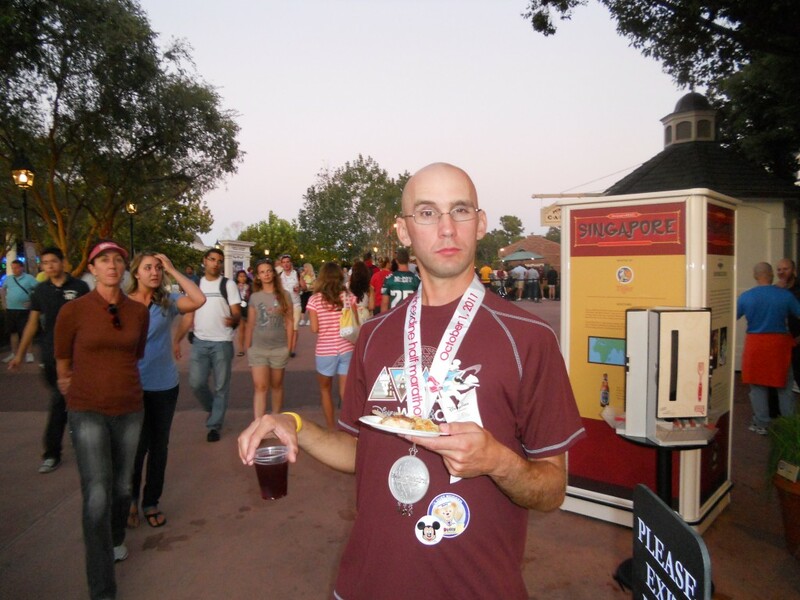 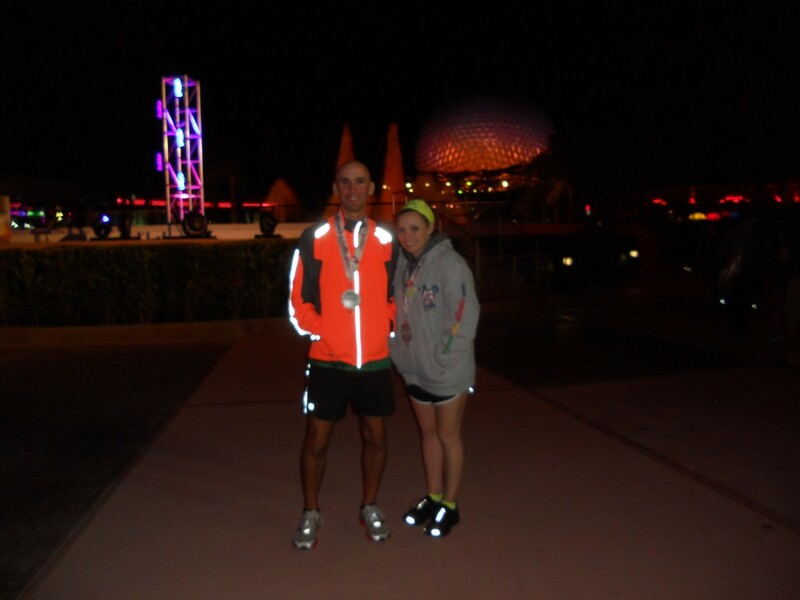 Coach Brian enjoys a cold brew by the Epcot fountain after finishing 108th overall. 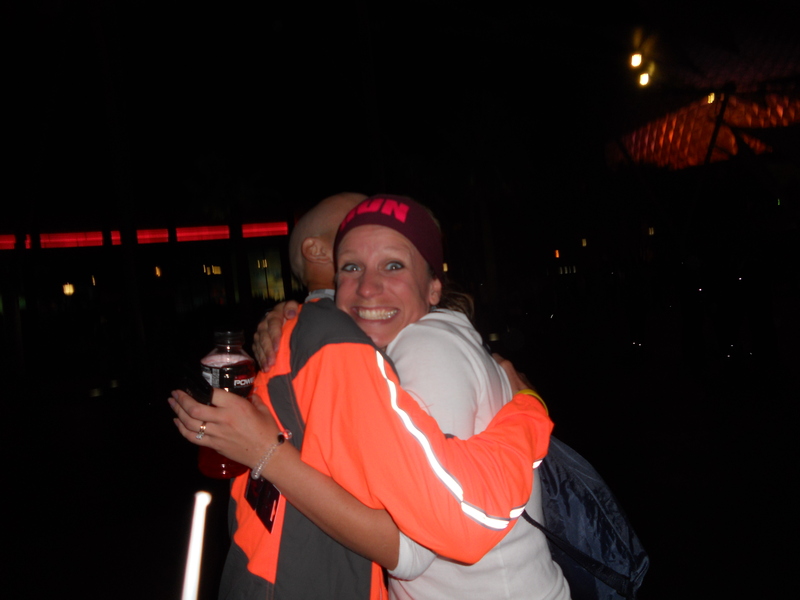 A jubilent Tracy kisses husband and relay partner Rob after crushing her leg of the relay. 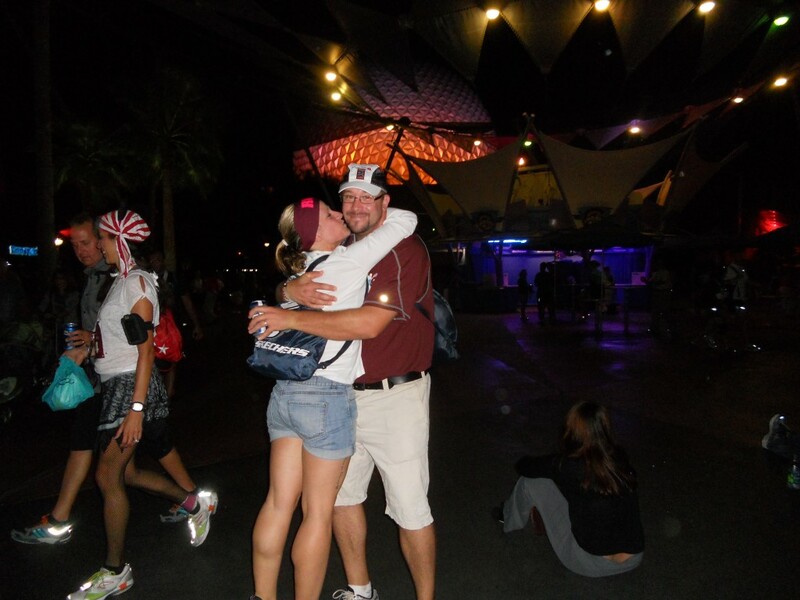 Coach Brian gets some Tracy love after working with her for only three weeks. 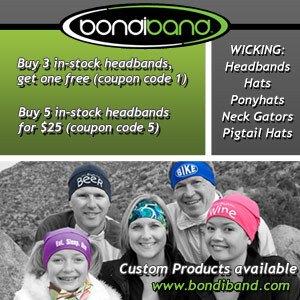 Raffi and Tracy show off their Bondi Bands. 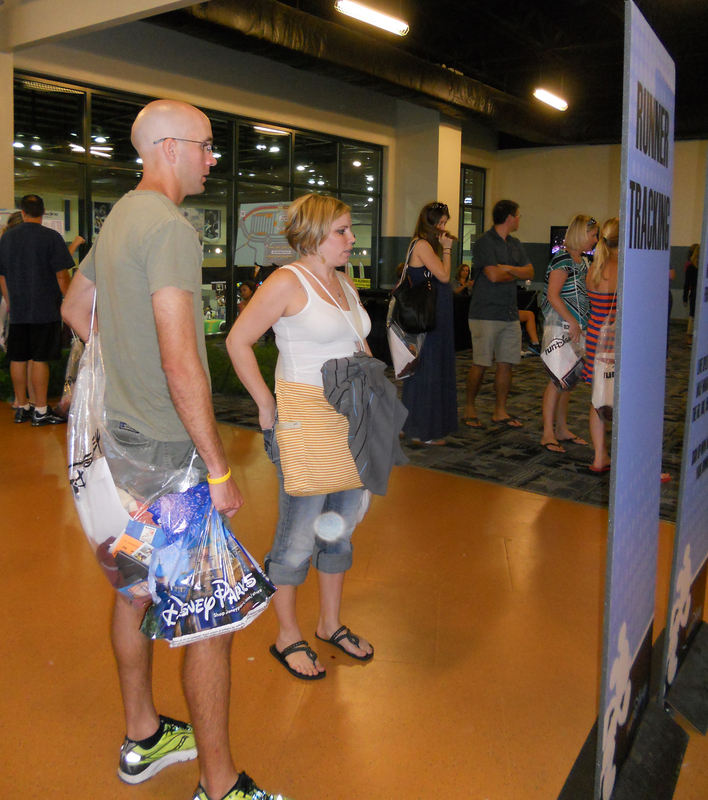 Thanks to all who came out to join us! 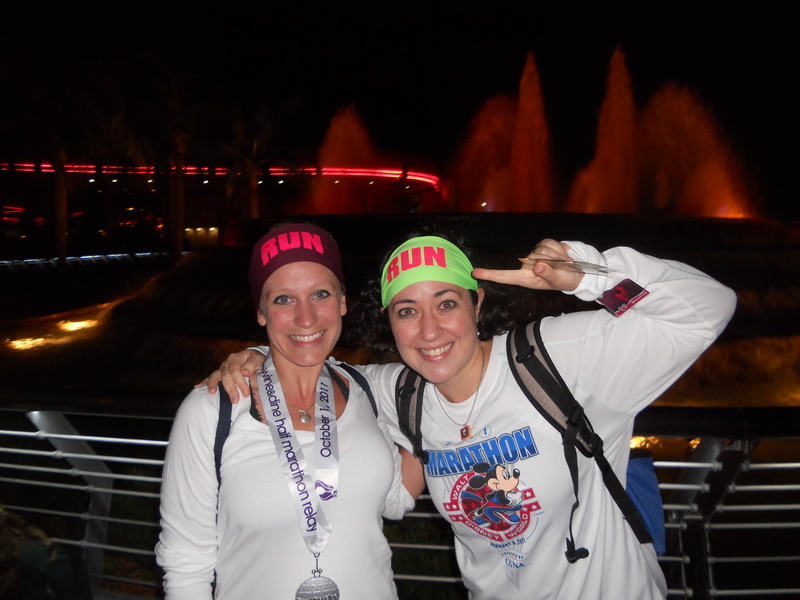 We hope to see you all for another running adventure soon! 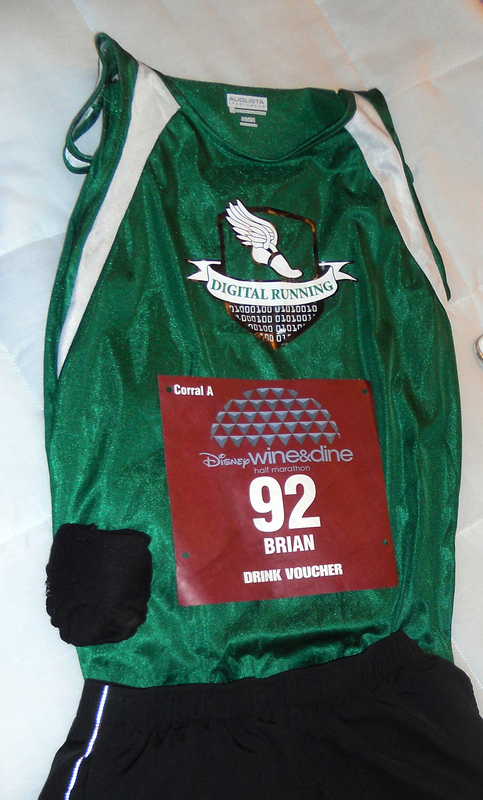 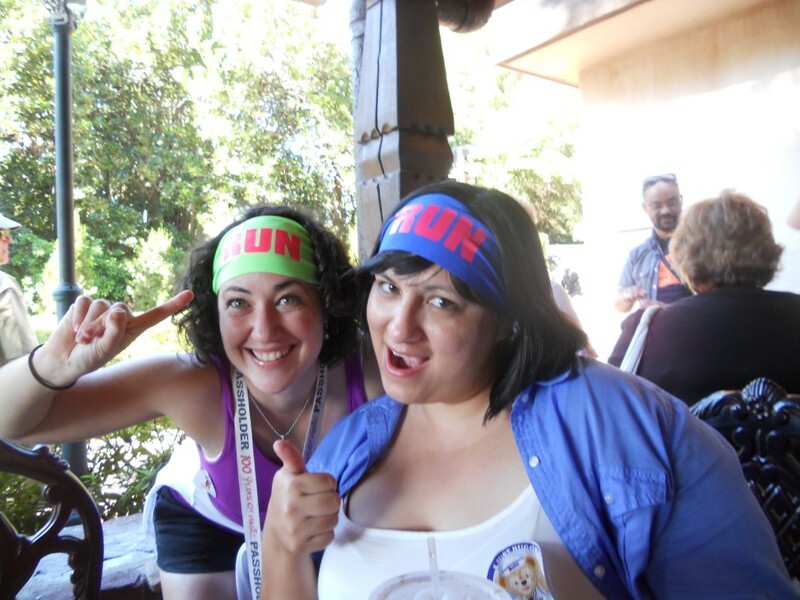 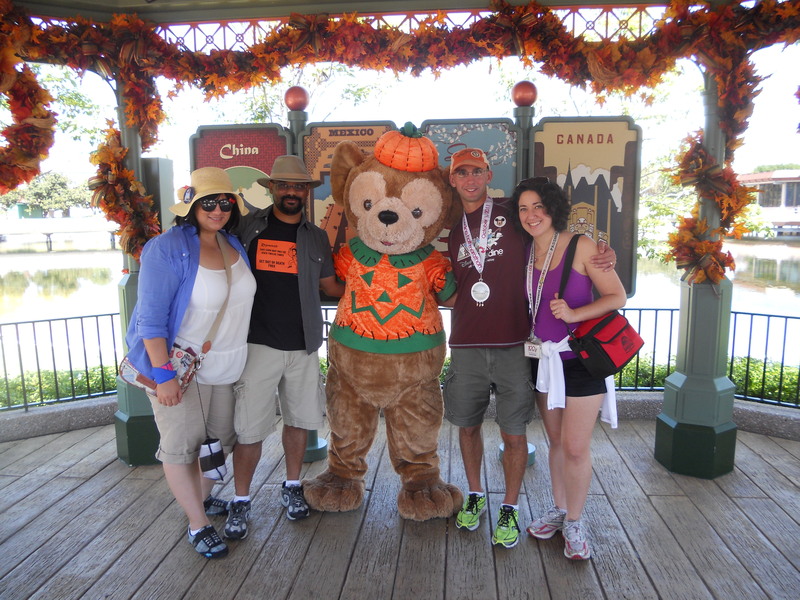 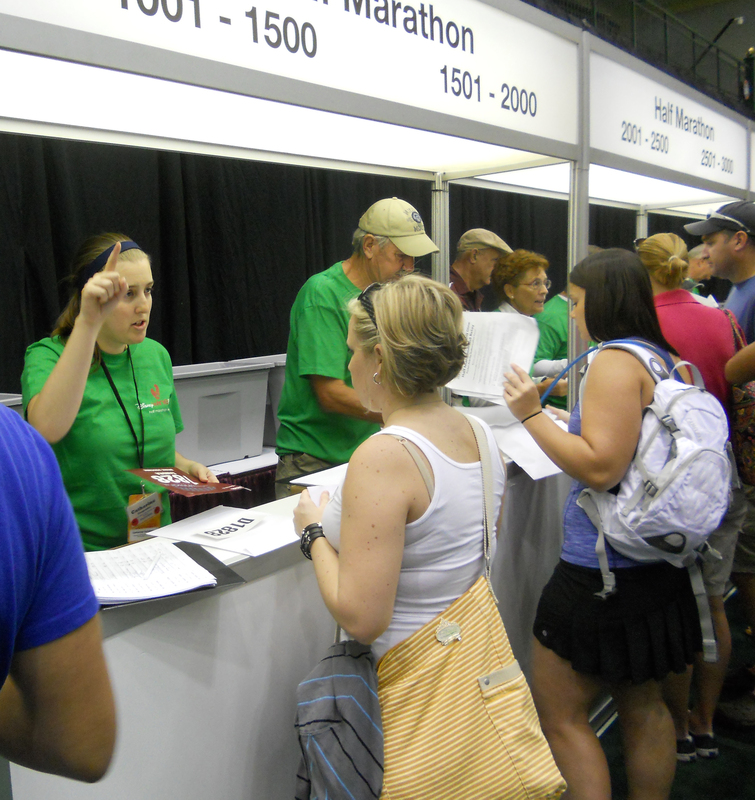 One Response to "Disney’s Wine & Dine Half Marathon – Race Recap"
It was so nice to meet yall at the wine and dine expo, thanks for stopping by the running skirts booth! 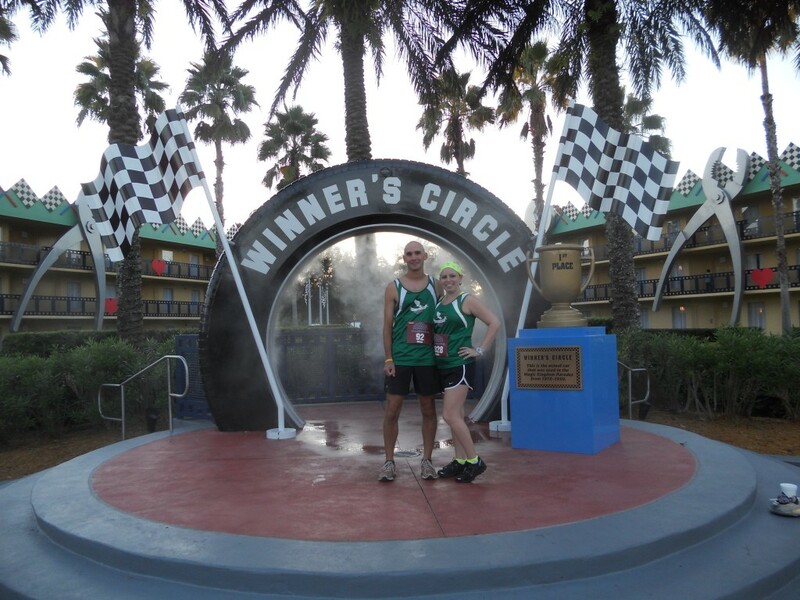 Hope to catch yall at another race soon!